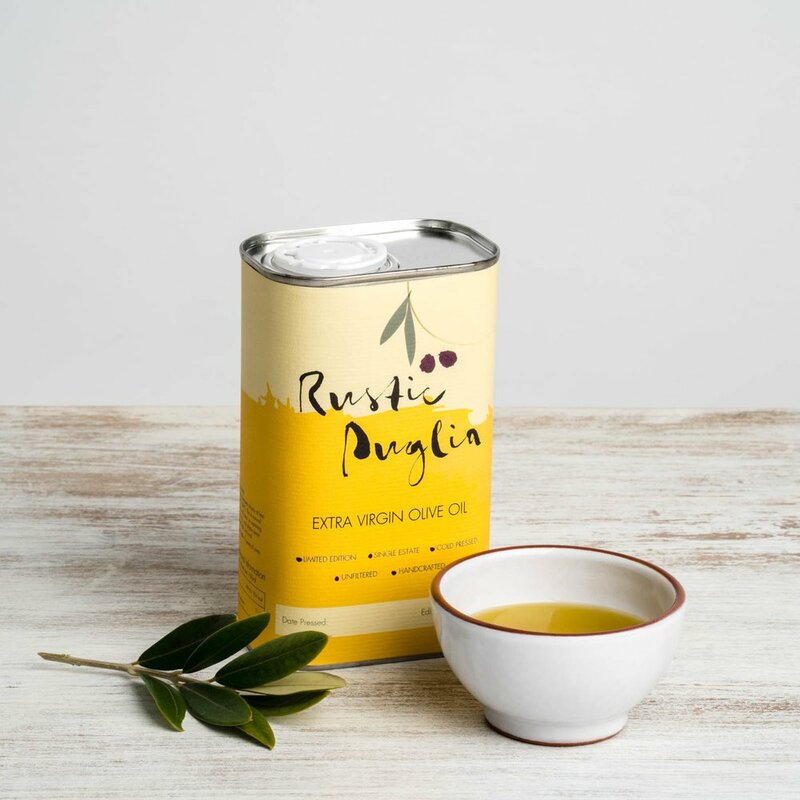 Rustic Puglia’s olive oil is produced by hand in small quantities. The olives are pressed on the day they’re picked. Each tin has the harvest date and the quantity produced from that press. We pick the olives in November and create a limited edition, unfiltered, extra virgin olive oil. It’s also organic, but we aren’t certified organic so we can’t describe it as organic. But it is. And it’s delicious! You’ll never buy supermarket olive oil again. The oil is available in a 500ml tin and is sent (by my mum) using Royal Mail’s signed for postal service. P&P is £2.80 per tin using Royal Mail second class post, £5.50 to Europe, £7.70 to the USA and £8.84 to Australia and NZ.